The model of asthma as a single entity has now been replaced by a much more complex biological network of distinct and interrelating inflammatory pathways. 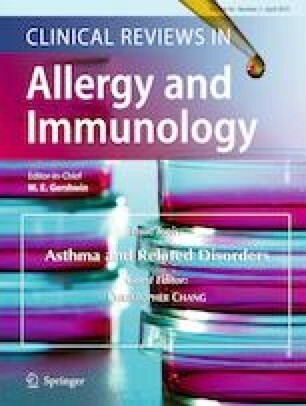 The term asthma is now considered an umbrella diagnosis for several diseases with distinct mechanistic pathways (endotypes) and variable clinical presentations (phenotypes). The precise definition of these endotypes is central to asthma management due to inherent therapeutic and prognostic implications. This review presents the molecular mechanisms behind the heterogeneity of airway inflammation in asthmatic patients. Asthma endotypes may be broadly regarded as type 2 (T2) high or T2-low. Several biologic agents have been approved for T2-high asthma, with numerous other therapeutics that are incipient and similarly targeted at specific molecular mechanisms. Collectively, these advances have shifted existing paradigms in the approach to asthma to tailor novel therapies. We would like to thank Sandhya Khurana and Jen Kwong for their excellent comments on the manuscript. F.E.-H.L. is the founder of MicroBplex, Inc. M.E.K. and G.B.L. have no conflicts of interest.